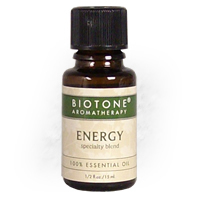 Biotone Energy Essential Oil Blend is 100% Pure. Blend Of Rosemary, Lemongrass, Bergamot, and Lemon essential oils. Stimulating to mind and body.